What are the benefits of wall lights? Which style is right for your room? Where can I use wall lights? What’s the right height for wall lights? Are there dimmable wall lights? Which wall lights can I use in my bathroom? Ready to create a mood, light up a favourite artwork or wash your wall with light? As old as the incandescent lightbulb, wall lighting, or sconce lighting, has come a long way over the years. 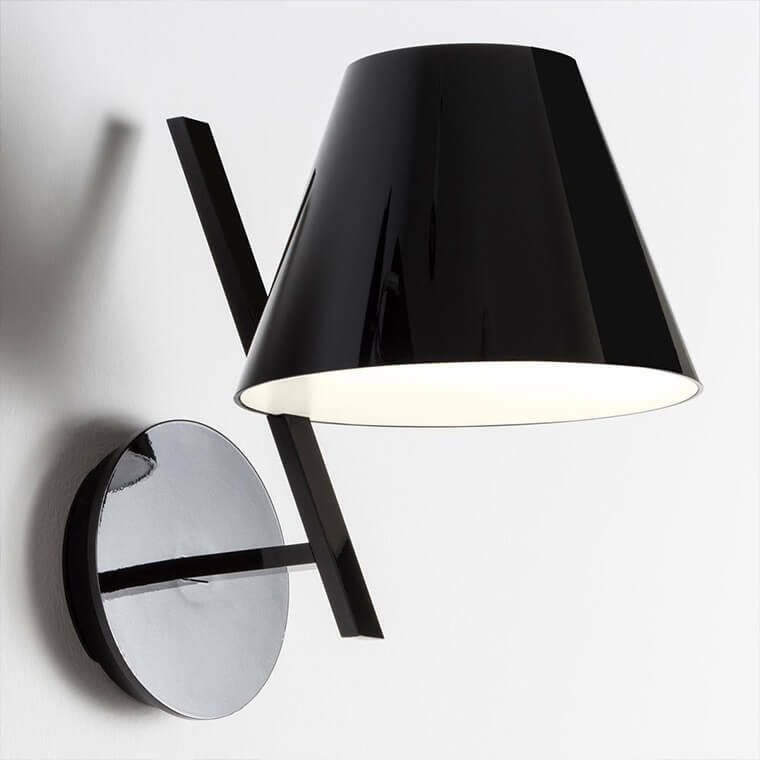 Today, you can buy a huge variety of traditional, contemporary and ‘edgy’ wall lights. 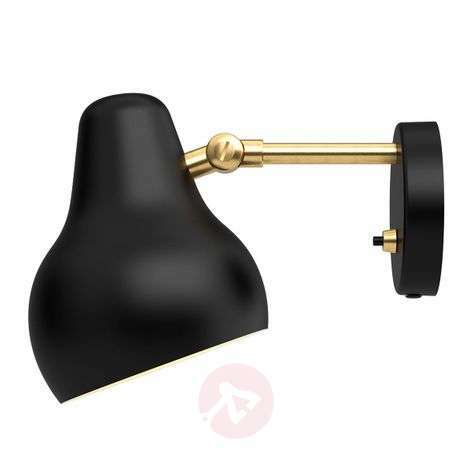 Ultimately, the sconce-lighting style you choose will depend on your personal taste, the theme of your living area and what you hope to achieve with the space. 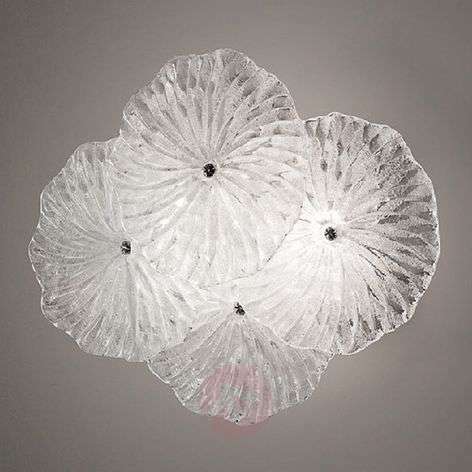 Here at Lights.ie - Ireland's biggest web-shop for lights, lamps and light bulbs - we’ve got wall washer lights, torch wall lights, picture wall lights, recessed wall lights, swing arms and plug-ins. They’re versatile, visually striking and very, very stylish. Welcome to Wall Street! Wall lighting offers a source of general lighting that works with ceiling lights to provide basic orientation and subtly accentuate a certain part of the room. Mounted at eye level, wall lights can make a strong design statement that can’t be overlooked. And wall lighting can be a great space-saver, too – for example, swing-arm lights for your bedroom. How do I install wall lights? We provide a detailed step-by-step manual, but please consult an electrician if you’re in any doubt. Want to wash a wall with a sheet of illumination? Or maybe you want to highlight your pictures? 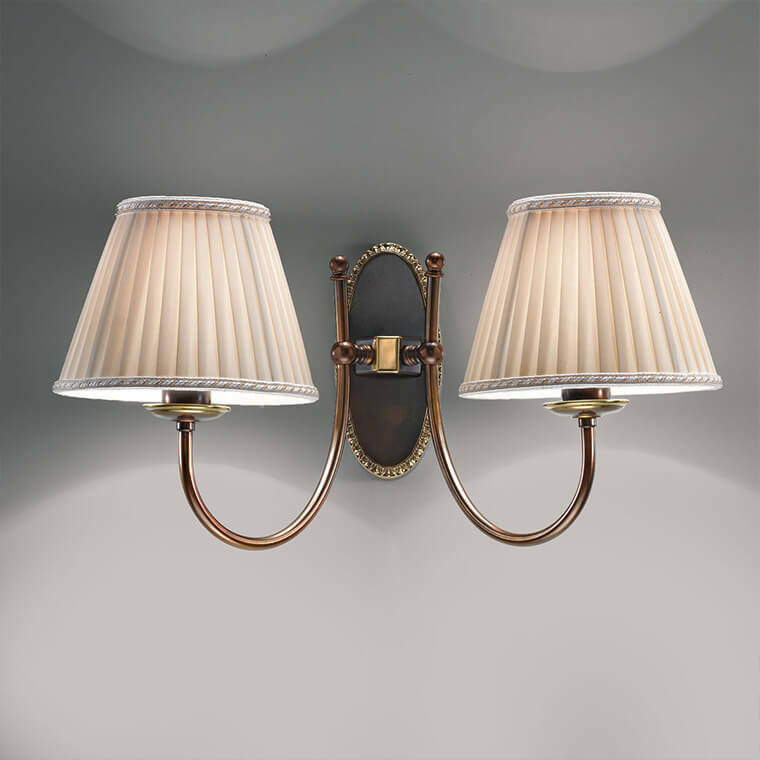 We’ve got a whole range of wall lighting all designed with different aims in mind. Plug-in lights - make bedtimes special with plug-in police cars or princess projectors. Aim for roughly eye level, but factor in the height of your ceiling, the size of the wall light, and features such as windows and décor. If in doubt, consult they‘rule of thirds’ and fix your lights two-thirds of the way up the wall. Can I use wall lights without other lighting sources? So you fancy wall lights only? Whether that works will depend on the effect you want to create and what kind of room we’re talking about. In a living room, you could create a cosy atmosphere, which will be fine if the room is bright with big windows. Or how about in a dining room? Go for a little atmosphere while cutting out glare – and create a striking medieval effect. However, in an office, relying only on wall lights might not be enough when you need task lighting for your work. Check the IP code. If it ends in 4 or higher, you can use the light above the bathroom mirror. But please ask your electrician which IP code he’d recommend for your installation. 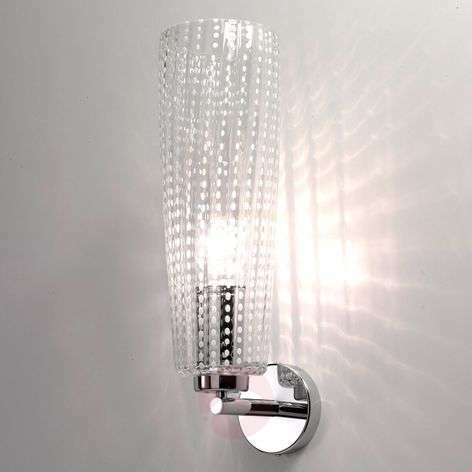 See all our bathroom wall lights here. Which design is right for you? The wonderful thing about wall lights is their versatility. Choose a style that complements the aesthetic of your room. Is it traditional, modern, edgy, antique? Whatever you decide, note that wall lights work best in pairs or groups. Should you opt for an upward-facing or downward-facing sconce? Well, if you want to highlight the ceiling and create ambient lighting, go for an up-facer. For more functional lighting – say, task lighting to help you read, go for a downward-facing wall light. Can’t decide? How about lights that combine both an up-facing and down-facing sconce? 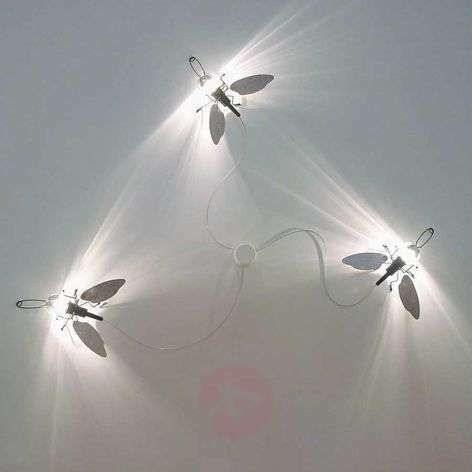 These are a great way to break up a blank wall and create an interesting lighting effect. Consider them for minimalist rooms without much furniture, such as hallways. Hallway/Staircase- create a relaxed, tempered setting. Living room - create a subtle ambience, improve your task lighting, highlight your wall art. Bathroom - great for task and mirror lighting and also for chilling out in your own home spa. Bedroom- save space with task lighting, position lights next to the bed for reading, or by the mirror for applying make-up. Choose a swing-arm light for added flexibility. Want a dimmable light? See the technical specification on the product detail page (‘Dimmable: yes’). You can also use the webshop filter ‘dimmable’ to get an overview of our products. If the light isn’t dimmable, you may be able to fit a dimmable lightbulb. Talk to Customer Services. Always consult an electrician if you’re unsure about installing a dimmer. Use our webshop filter ‘incl. switch’ to browse these options. How bright are wall lights? This depends on the wall lights. Lumens are the measure of brightness. Please see the technical specifications on the individual product page. On the table, you can find out how the brightness compares to older measurements of watts on the table to the right. Are the lightbulbs built in? It depends on the product. Please check the technical specifications on the product page. If they don’t give the base type, the bulb is built in. Built-in bulbs offer 20,000–25,000 hours of use. LED lights are generally built in. All our wall lights comply with European norm DIN-EN-60598-1. For more information, contact Customer Services.